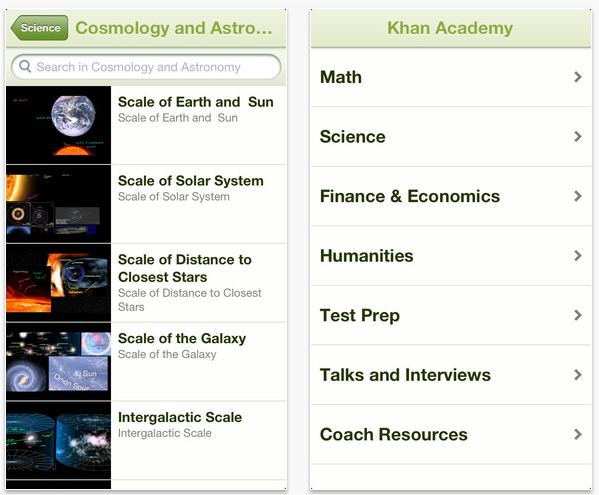 Education disruptor, Khan Academy, has released an iOS mobile application for the iPhone and iPod Touch, giving users complete access to its collection of over 3,500 videos. Now, students will be able to continue their education on the go, whether they’re traveling on vacation, commuting, or sitting around with nothing else to do. The app covers a wide variety of topics, including topics within the K-12 space, such as math, science topics like chemistry, biology, physics, etc., and there’s even a focus on the humanities. While it’s created for all iOS devices, students will find that there are some differences between which device they’re using. With the iPhone app, they can only view the videos. With the iPad app, which was released earlier this year, they can download them to watch offline, have subtitles to follow along, and even track their progress and catalog their achievements. That totally makes sense, when you think about it. With the iPhone, it’s not something that’s conducive to learning off of beyond simply viewing videos or posting notes, but when you have a larger surface like the iPad, then it basically functions like a laptop where you can download videos, engage with the service, and continue learning. According to an infographic compiled by MDG Advertising, in 2012, in the United States, 1.5 million iPads were used by students with over 20,000 learning apps available. Furthermore, within the first 45 days of iPad sales, 47,000 were sold to schools in the country. Students and teachers are definitely using these devices to learn. Founded by Salman Khan in 2006, Khan Academy has been set on producing online content in the form of micro lectures in order to make education more accessible to the masses. Recently, it teamed up with Google to find a way to bring education to YouTube through a new effort called the Next EDU Gurus and Khan himself has hosted a Google+ Hangout to discuss his philosophy and his new book The One World Schoolhouse: Education Reimagined. 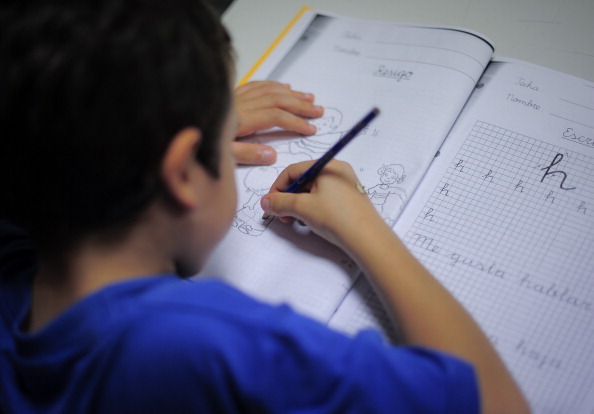 People who sign up for Khan Academy will find out that it incorporates game mechanics in order to help foster learning instead of the traditional lectures that students have been accustomed to. When a new skill level is achieved, the student receives a badge. Khan has over 440,000 subscribers to his YouTube channel, with over 210 million views. 7,000 of the videos are also available in different languages, including Spanish, Urdu, Bengali, and Farsi, making it much more accessible to non-English speakers. It has raised $5 million in funding. The application is free for all users, doesn’t matter if you’re a student or a teacher.